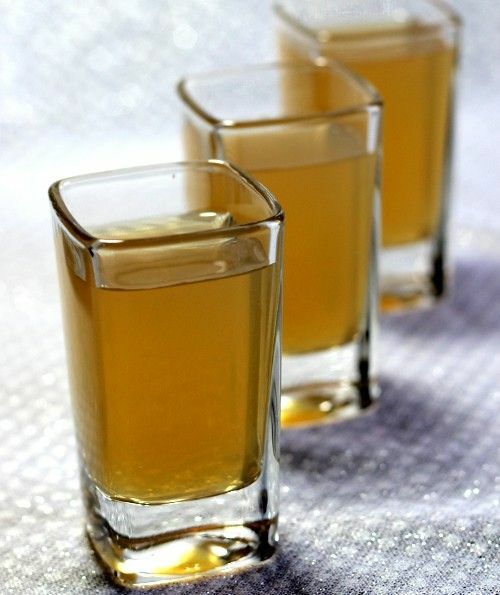 The Foreplay Cocktail is a very simple shooter cocktail featuring the flavors of almond and pineapple. It’s a sweet, rich, intoxicating combination. This is a very weak shot, since the only alcohol in it is a half ounce of liqueur. But sometimes a weak drink is just what you want – something you can toss back a few of without worry, even if you’re a light drinker. The Foreplay cocktail is as fun as it is tasty. Fill a cocktail shaker halfway with ice. Pour in the two ingredients and shake until chilled. Strain into a shot glass.